"Let me offer my respectful obeisances unto the all-auspicious Lord Sri Krishna, about whom glorification, remembrances, audience, prayers, hearing and worship can at once cleanse the effects of all sins of the performer. 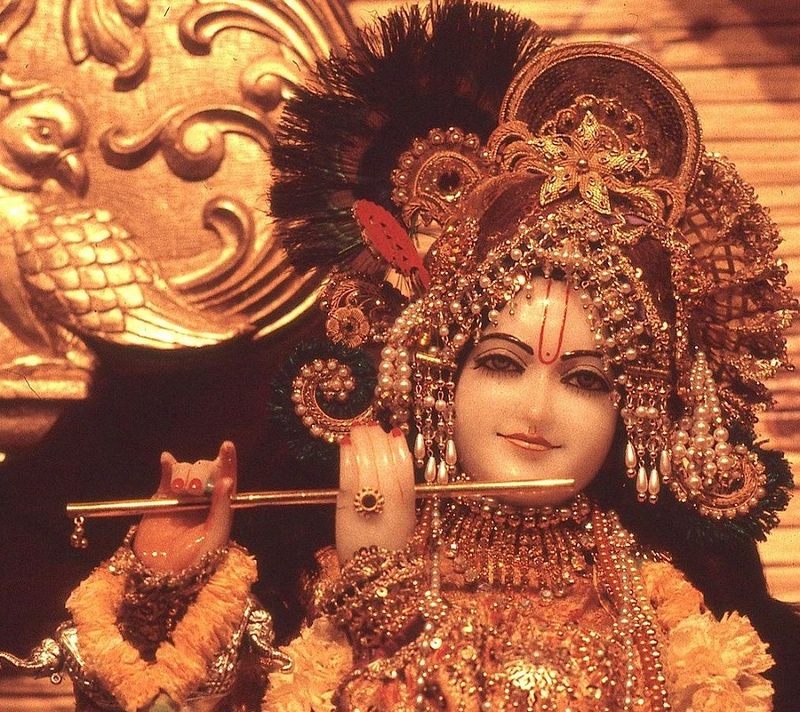 "Let me offer my respectful obeisances again and again unto the all-auspicious Lord Sri Krishna. The highly intellectual, simply by surrendering unto His lotus feet, are relieved of all attachments to present and future existences and without difficulty progress toward spiritual existence. "Let me offer my respectful obeisances unto the all-auspicious Lord Sri Krishna again and again because the great learned sages, the great performers of charity, the great workers of distinction, the great philosophers and mystics, the great chanters of the Vedic hymns and the great followers of Vedic principles cannot achieve any fruitful result without dedication of such great qualities to the service of the Lord."